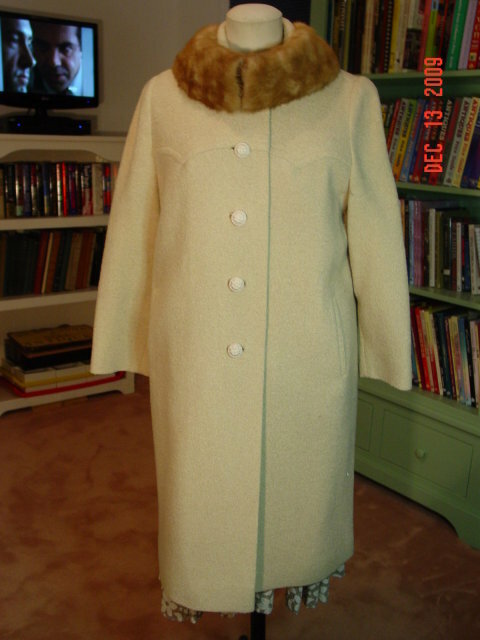 Vintage tufted cream wool ladies coat with a mink collar made by Pioneer Coat Co. and sold by Belk's Department Store in Columbia, SC. Picture with label shows true color. Lined with cream satin. Slant pockets and 5 buttons. 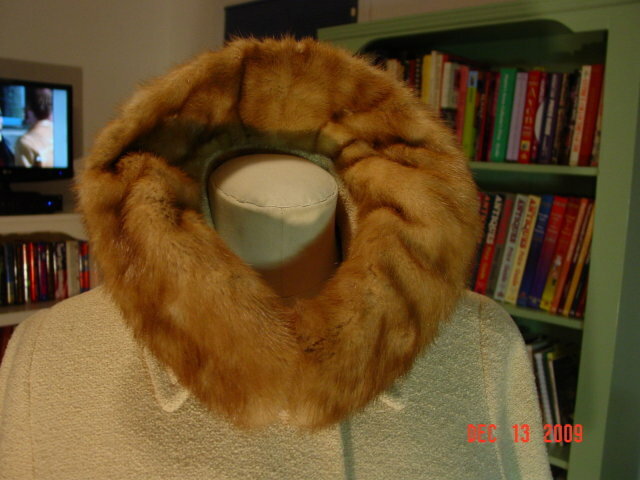 Measurements: length 40", bust 40", sleeve 23". Excellent condition. 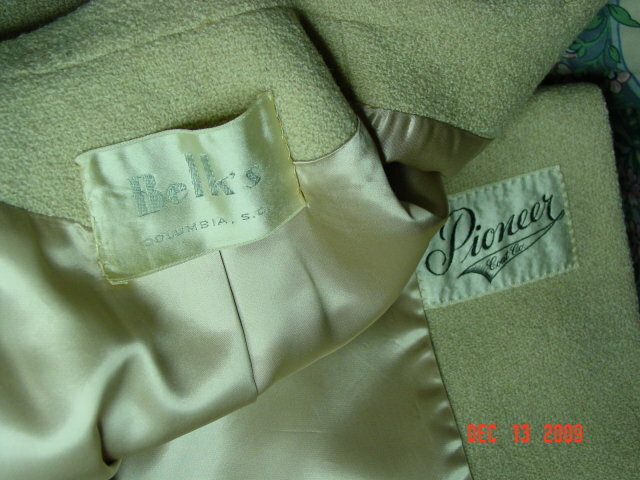 Items Similar To "Vintage Belk's Pioneer Coat Co. 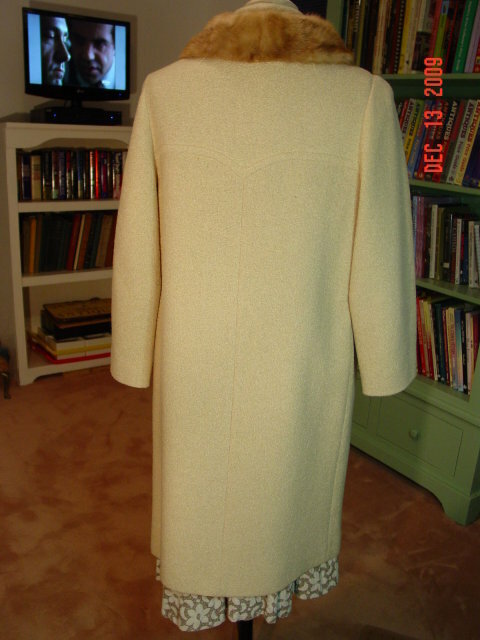 Cream Wool Coat with Mink Collar"